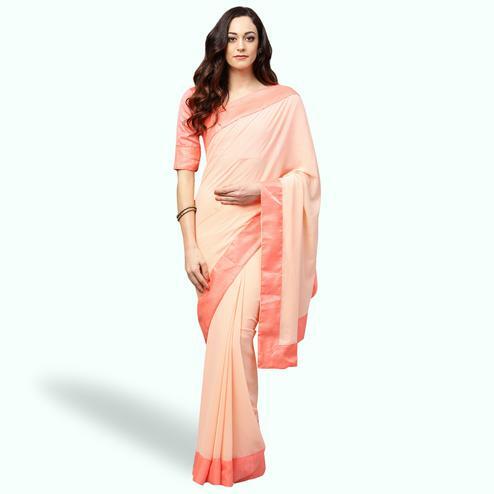 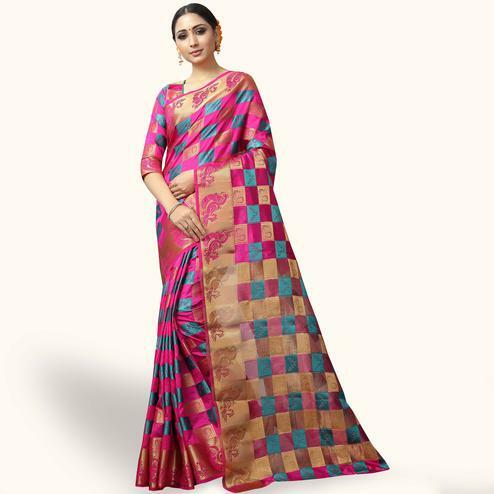 Get a trendy look for your casual outing wearing this beige - pink color saree enriched with decorative design prints at entire body and solid contrast pink border. 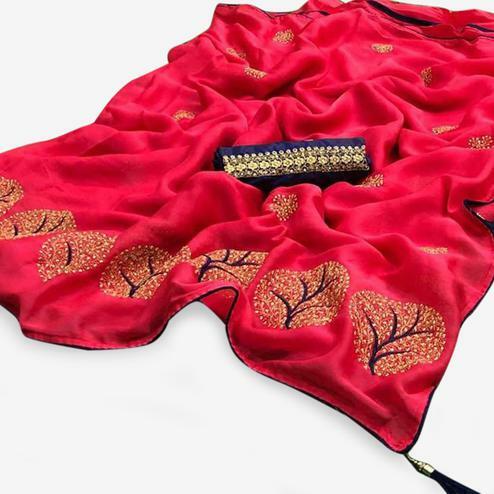 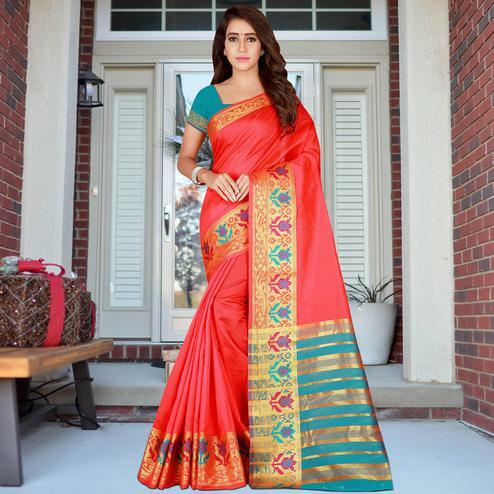 This saree is fabricated on georgette which is soft towards skin and comfortable to carry all day long. 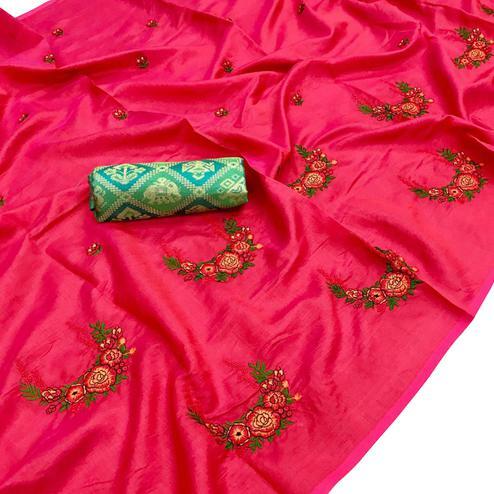 Paired with pink georgette and satin silk printed blouse piece.